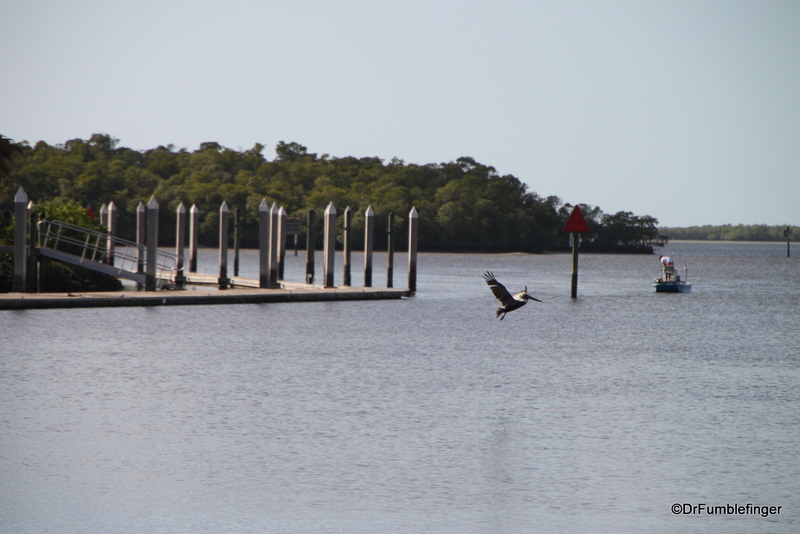 Everglades City, Florida: Mangroves, Manatee, and the Sea. 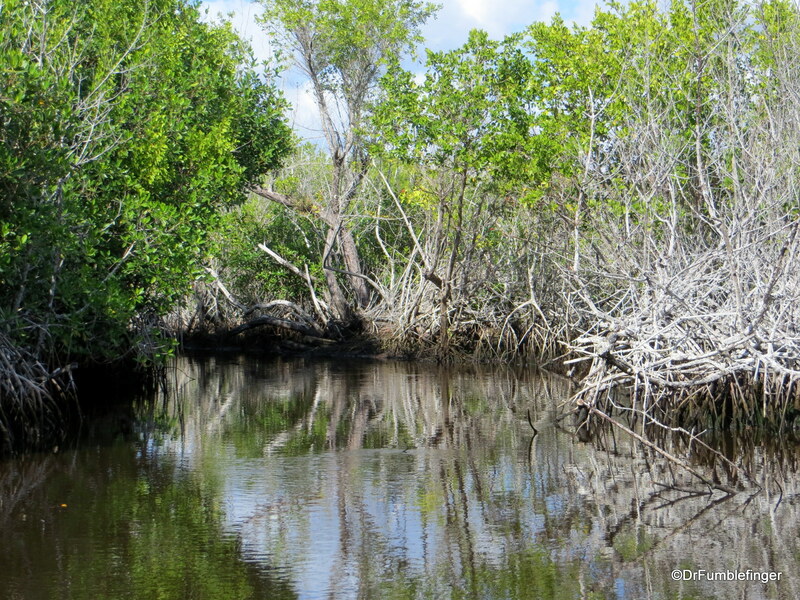 Karl on Feb 16, 2014 with Comments Off on Everglades City, Florida: Mangroves, Manatee, and the Sea. 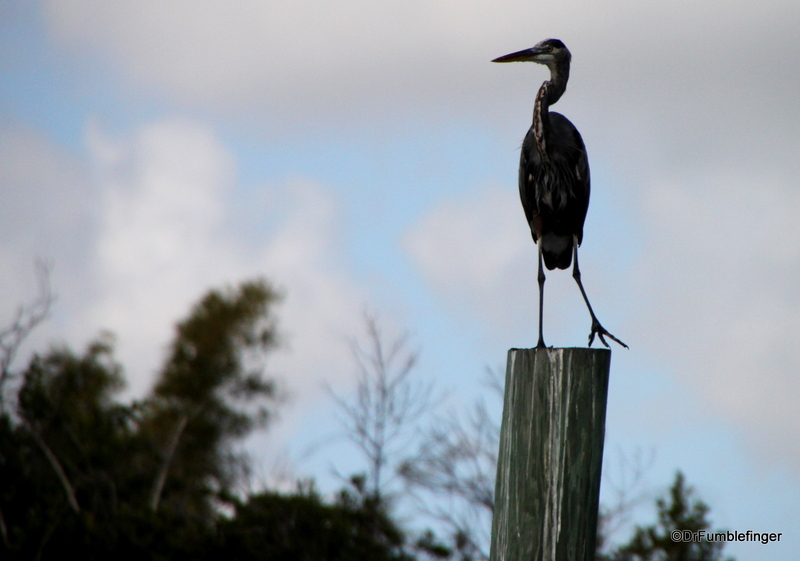 This is the second in a three part series on Florida’s unique Everglades ecosystem. 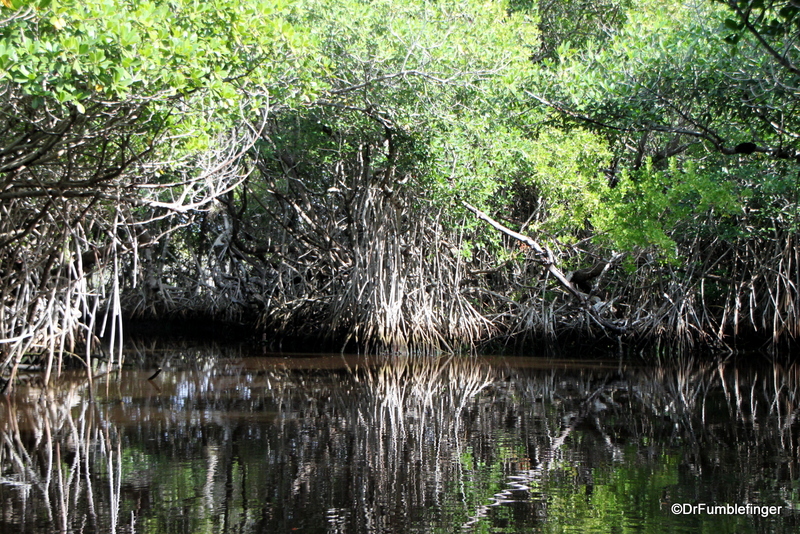 The first part focused on the Cypress forests of the Everglades, which you read about here. 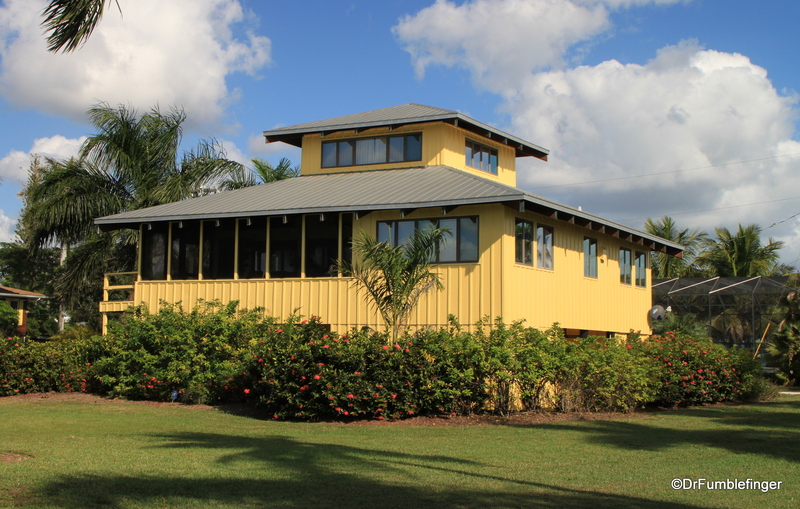 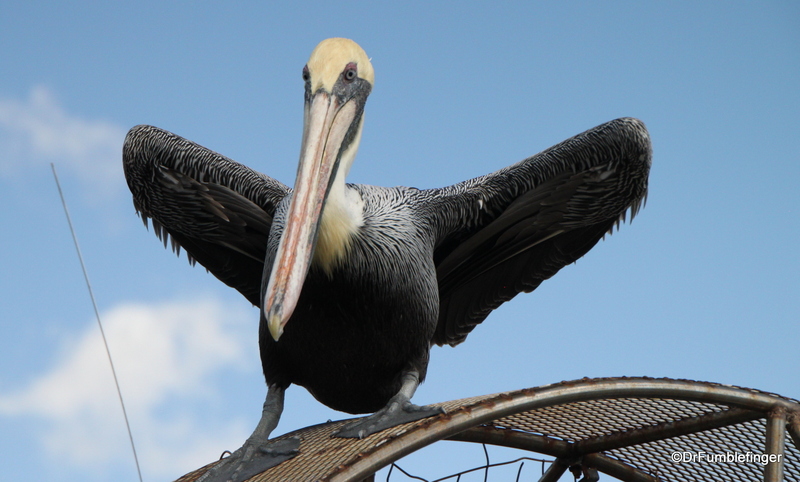 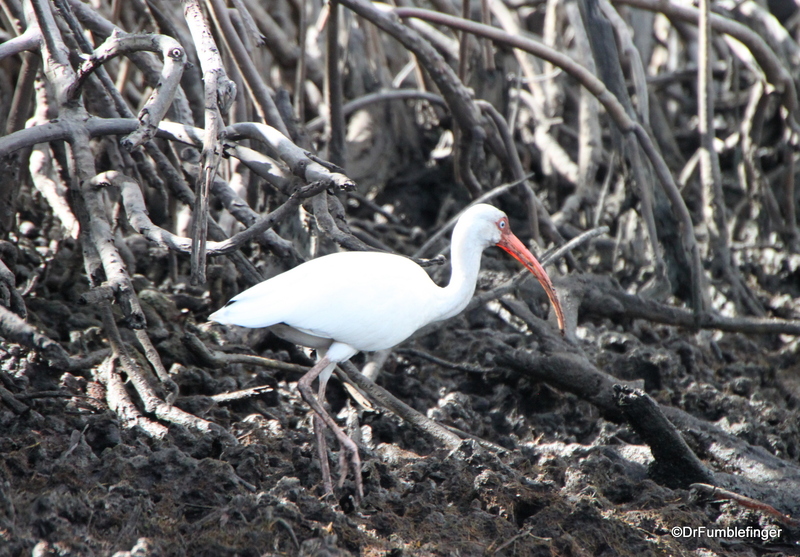 This post deals with a visit to the coastal Everglades. 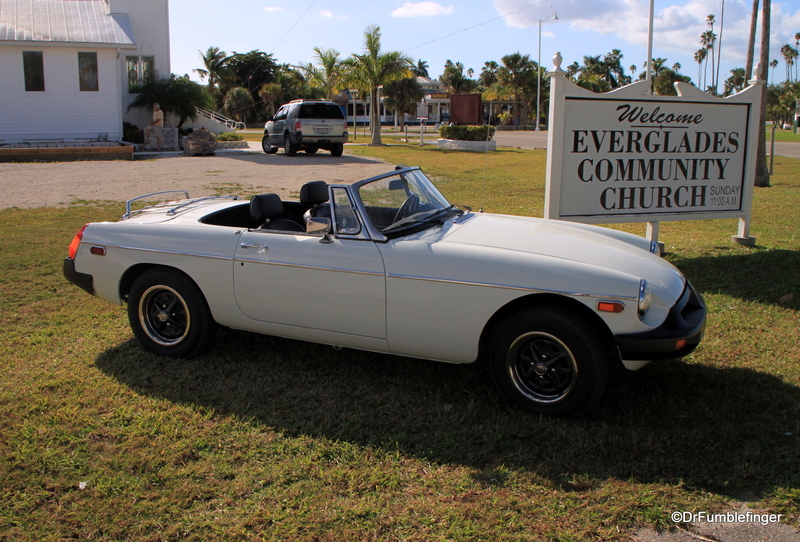 Everglades City is a small town (population 400) in southwestern Florida abutting the ocean to the south and Everglades National Park to the east. 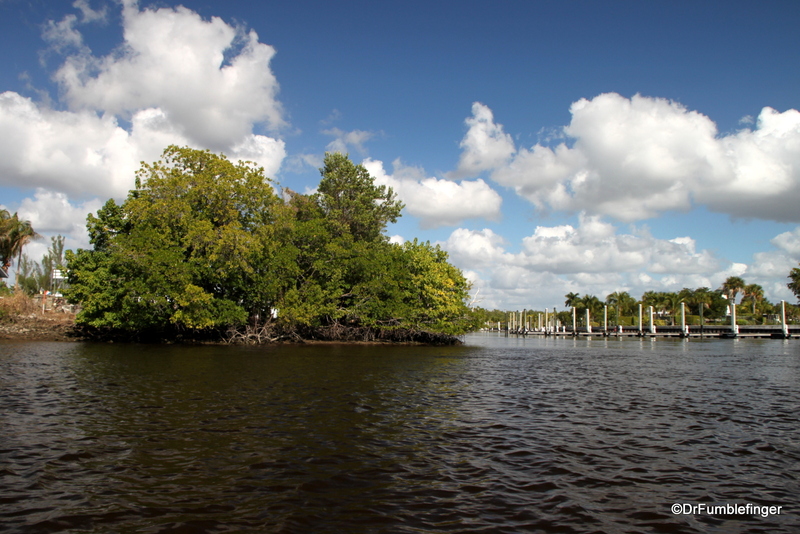 The town is situated towards the southern end of the Everglades. 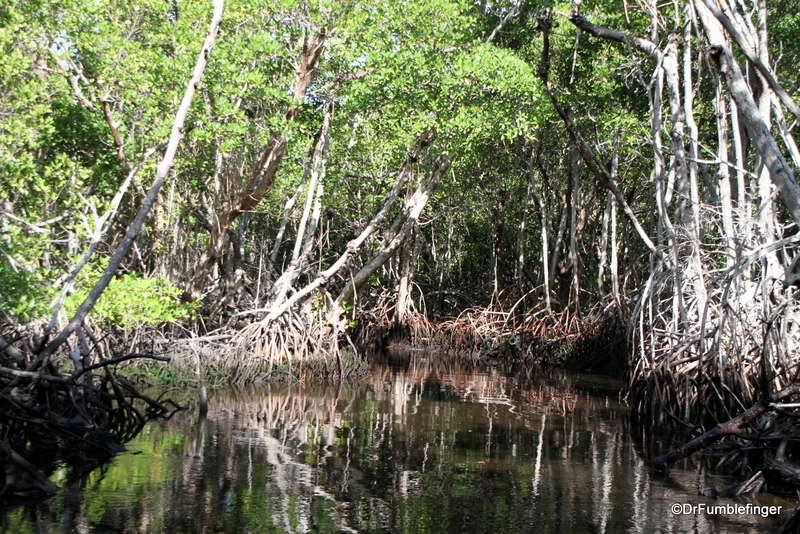 In this region, the “River of Grass” has transitioned to a coastal mangrove forest. 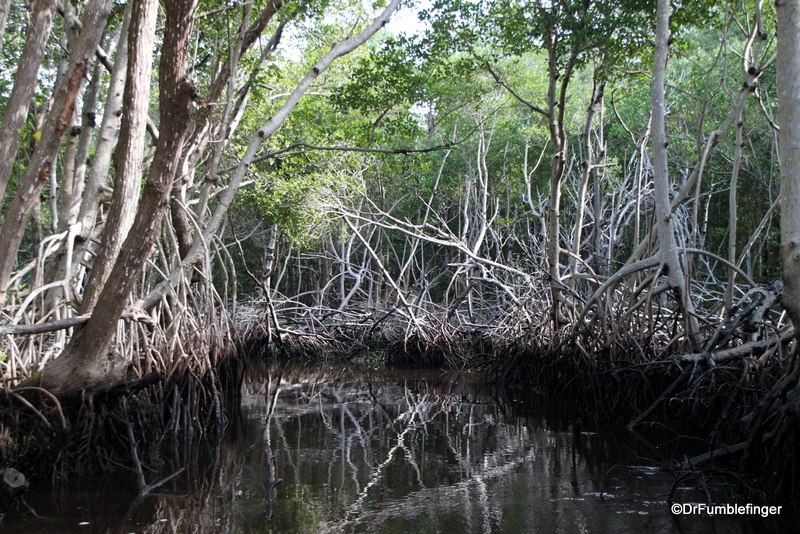 Mangroves thrive where the water is brackish and saw-grass can’t survive, and mangroves are ecologically important because they helps anchor the land and keep it from eroding during storms (especially hurricanes). 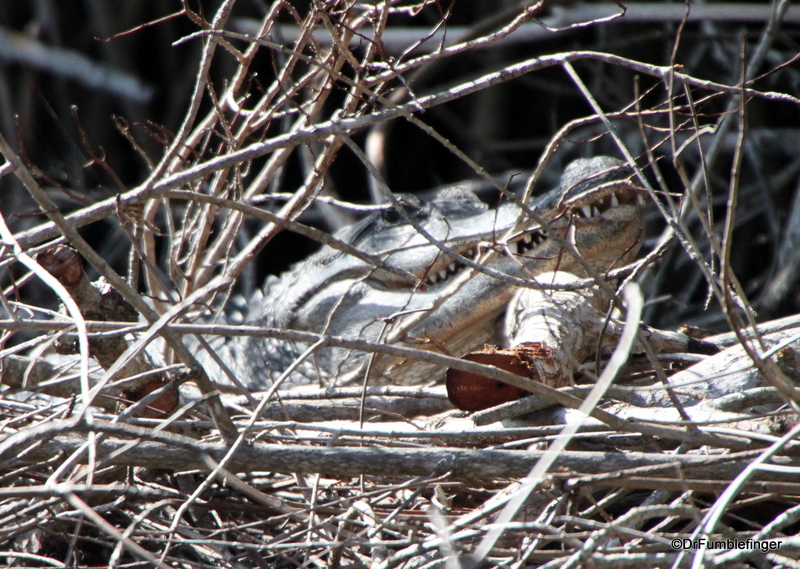 Everglades City is a great place to go see the coastal mangrove ecosystem and you’ll be rewarded with lots of bird sightings, but this is generally not a good place to spot alligators as they prefer fresh, not brackish. 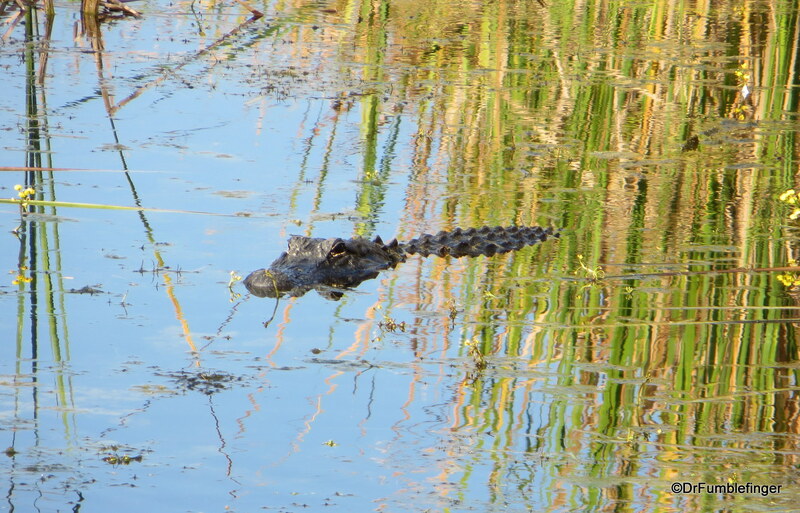 water (although the number of alligators increases during the rainy season when water levels rise and the water is fresher). 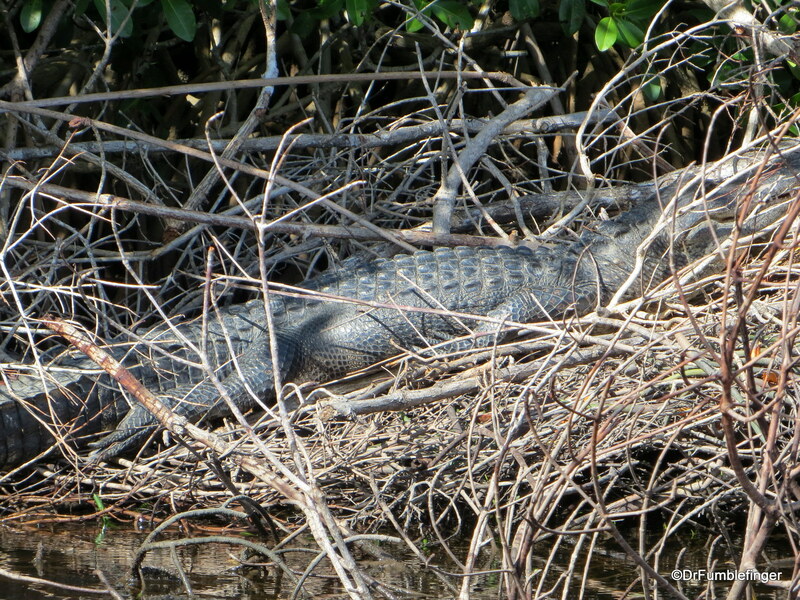 You’ll see far more alligators in the “River of Grass” portion of the Everglades, which I’ll talk about in my next post. 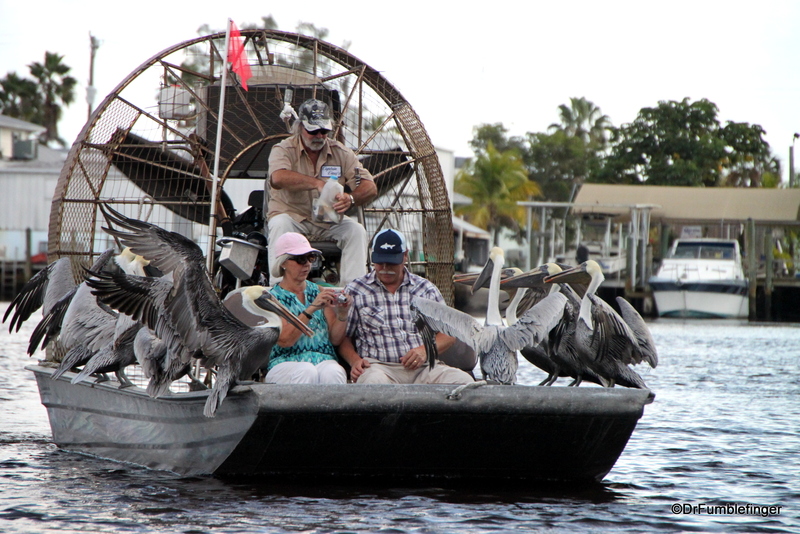 Everglades City is a very popular place to take airboat rides. 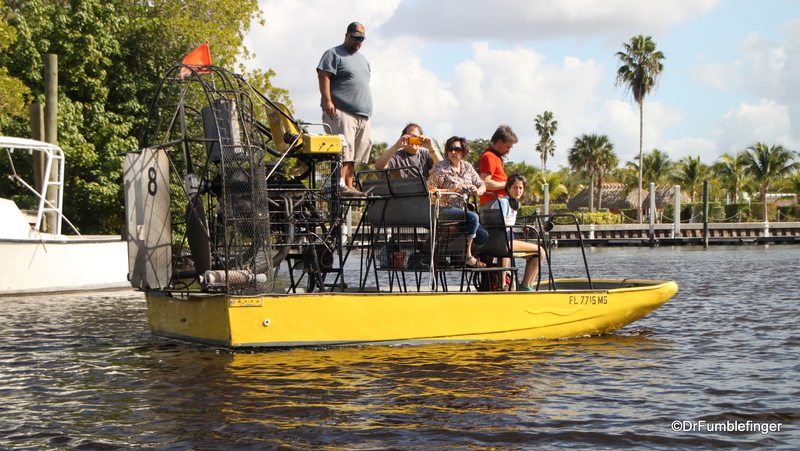 Airboats are flat bottomed (shallow draft) boats propelled by a huge fan blowing air, rather than using water propulsion. 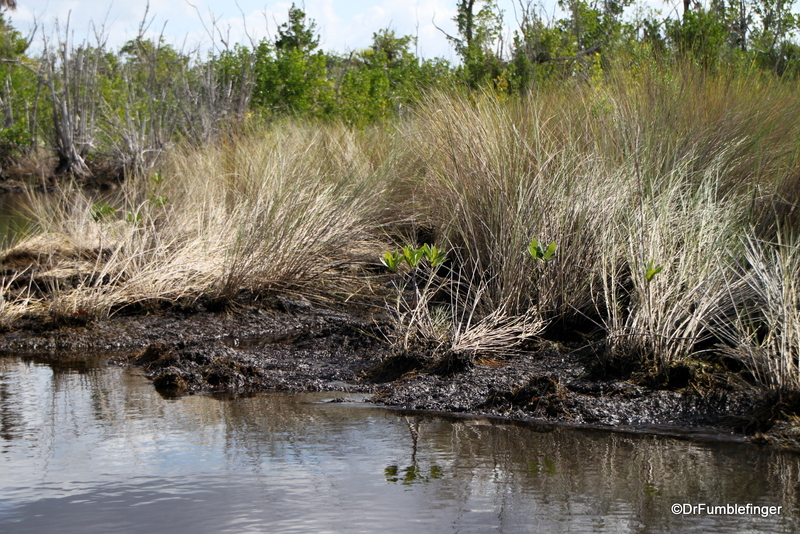 This makes them ideal for the shallow waters of the Everglades ecosystem. 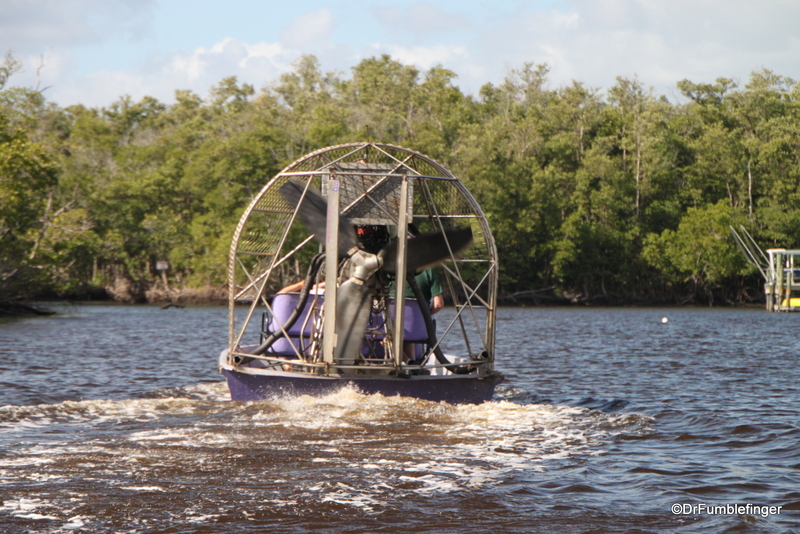 These commercial airboat rides generally last about an hour and you’ll move with some speed through tight channels in the mangrove forest — it’s quite fun, really! 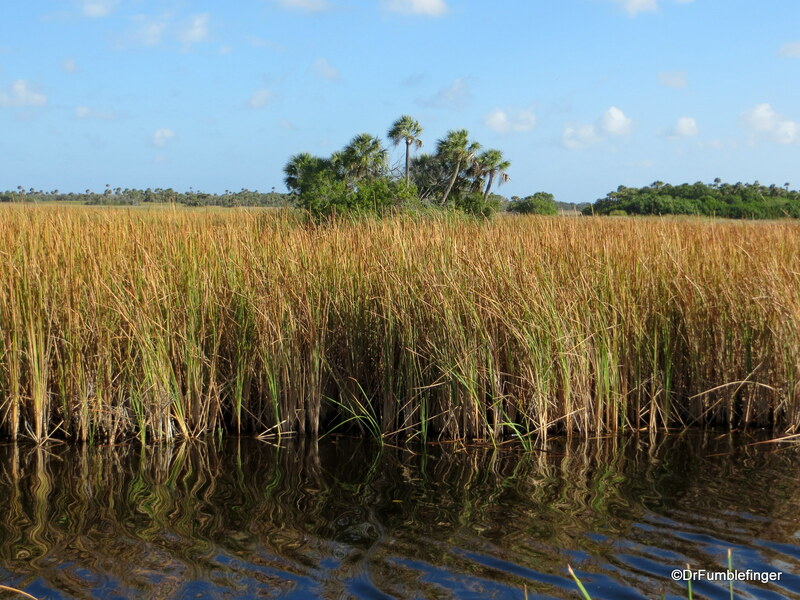 Longer rides will head further inland into the sawgrass plains. 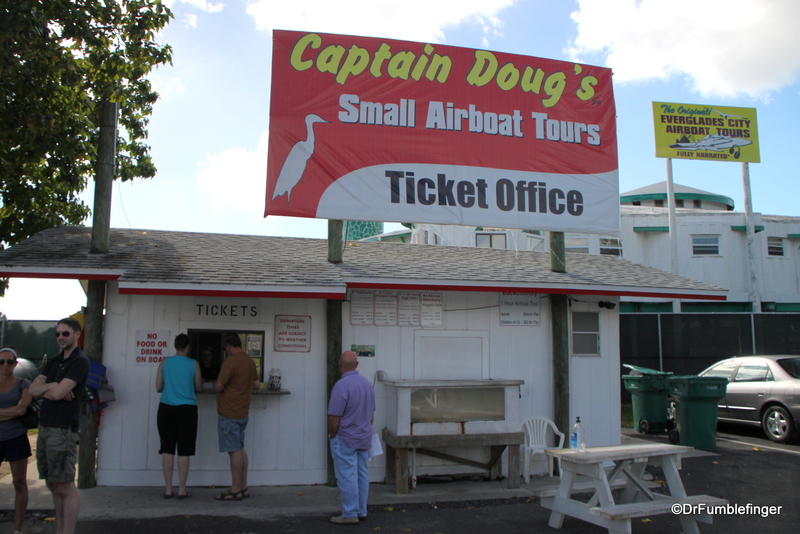 There probably are a half dozen or so airboat ride vendors in Everglades City, almost all adjoining the boardwalk, so do a little to research and compare prices before you make a decision about which one to use. 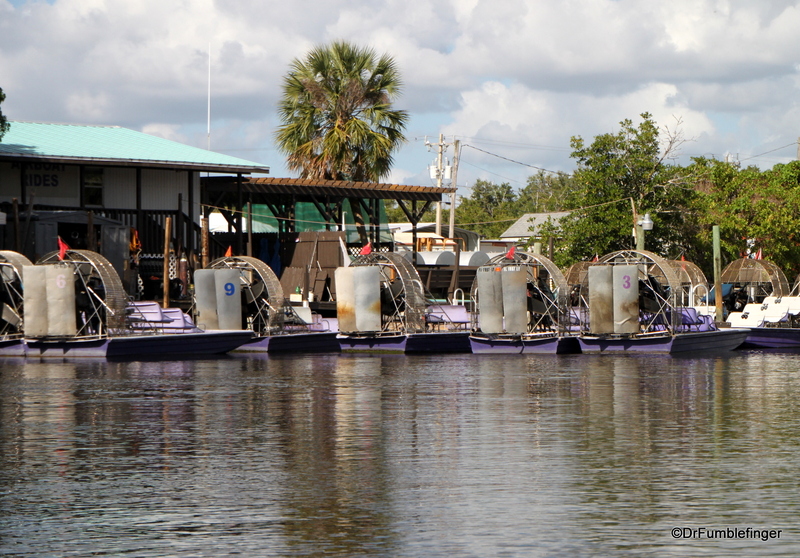 The huge propeller of the boat is surprisingly efficient but when cranked up the engine roars and you’ll need hearing protection (which the airboat vendors provide). 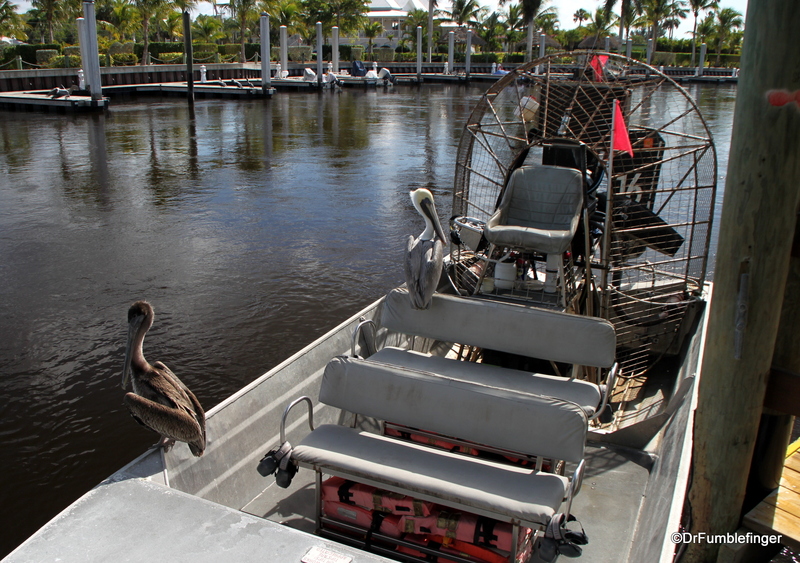 Airboats are not allowed into Everglades National Park proper, but the areas around the periphery of the park provide a very satisfactory “Everglades” experience. 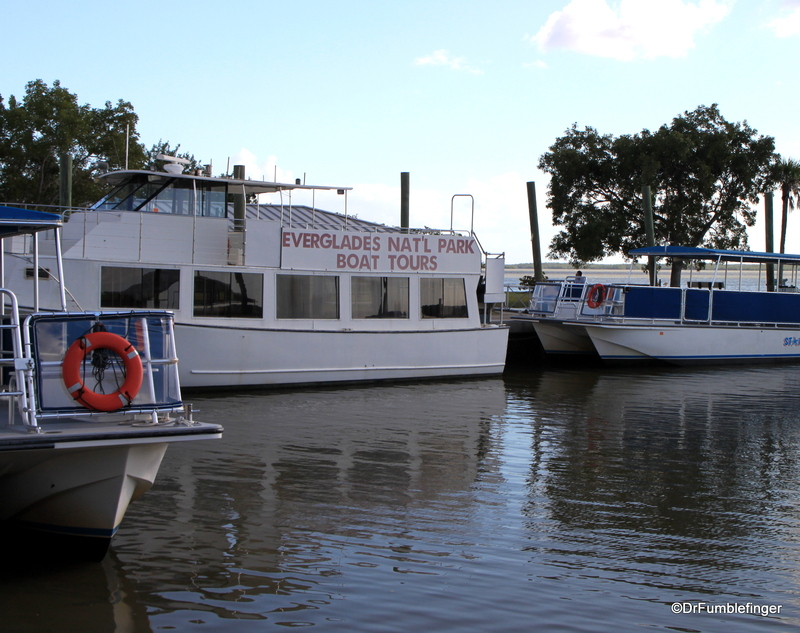 Everglades City is the Gateway to the 10,000 Islands, an archipelago of mangrove islands just offshore and very popular with kayakers. 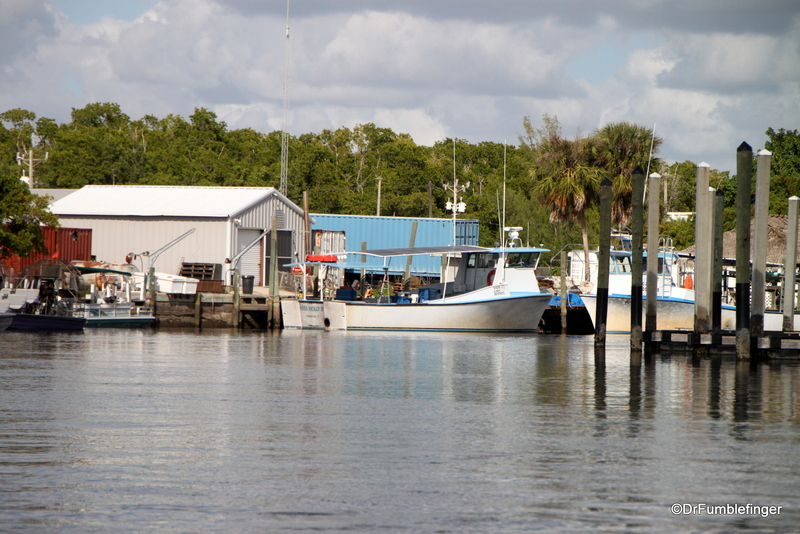 The city is at one end of the “Wilderness Waterway”, a backcountry route linking Everglades City to Flamingo. 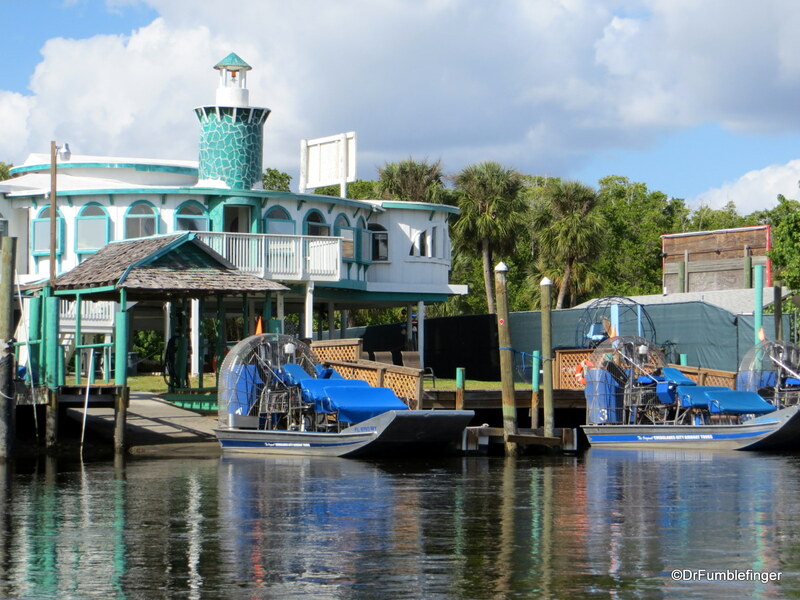 There are vendors from whom you can rent kayaks or canoes, or you can take a guided paddling excursion, or take a cruise out to the islands in a large tour-boat. 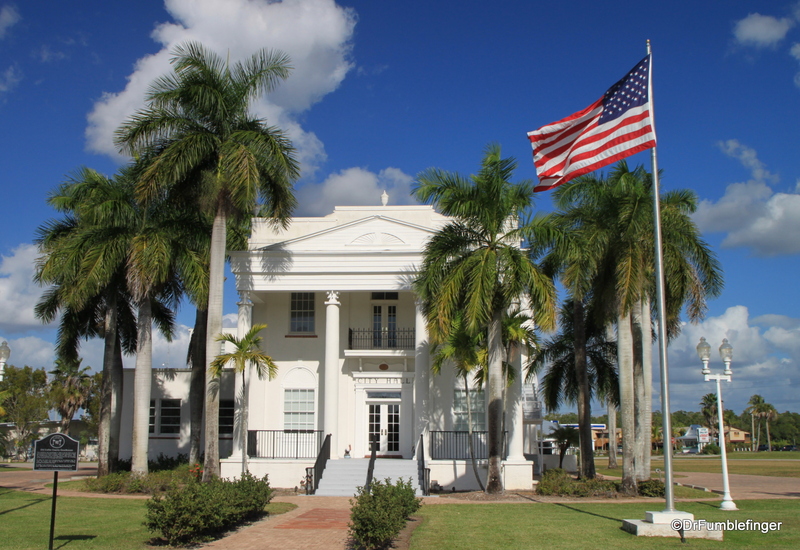 In the early 20th century farming was popular in the Everglades City area, with crops of bananas, sugarcane and produce. 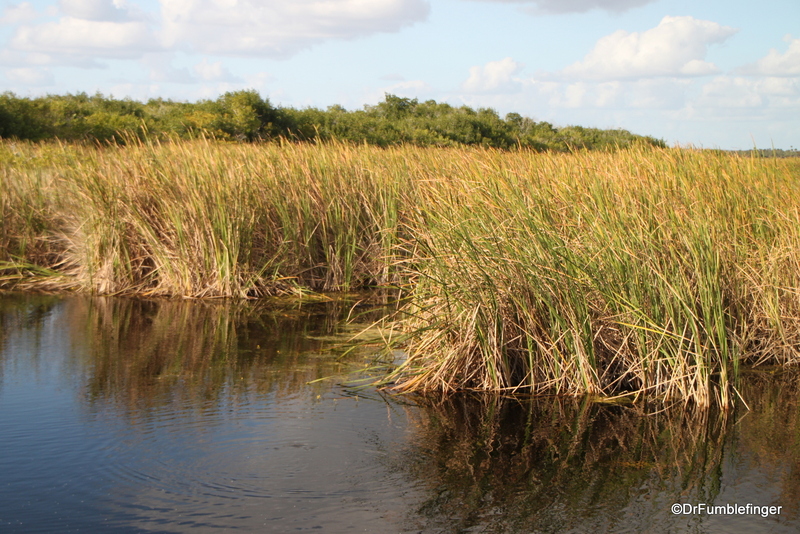 With the establishment of Everglades National Park, conservation of Big Cypress Swamp and the 10,000 Islands, the city transitioned from agriculture to nature tourism, such as the airboat rides, fishing and boating. 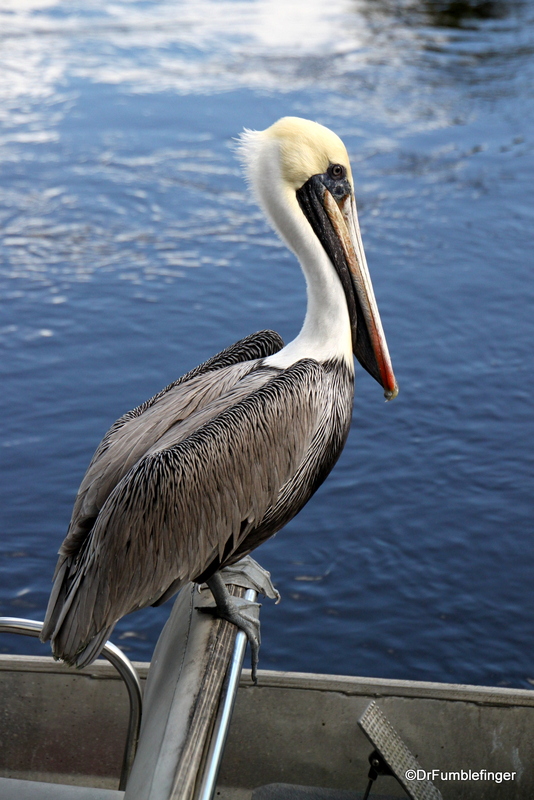 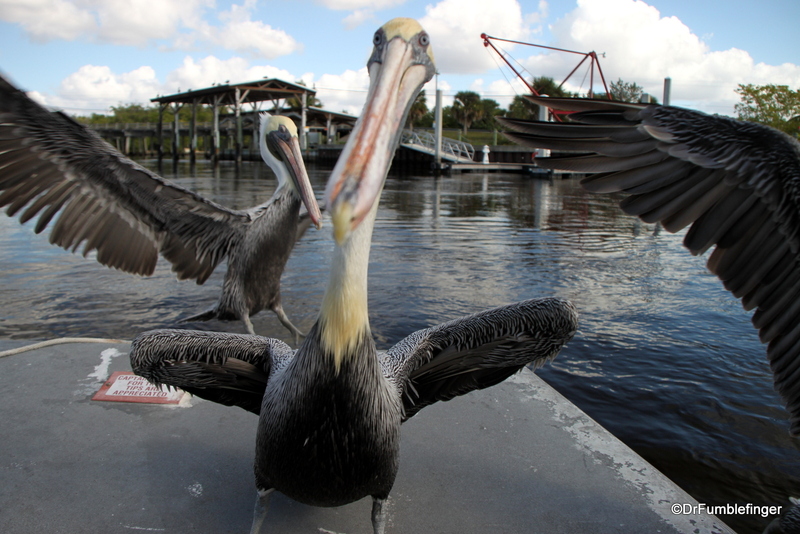 The area is rich in wildlife and is a good place to see manatee and birds. 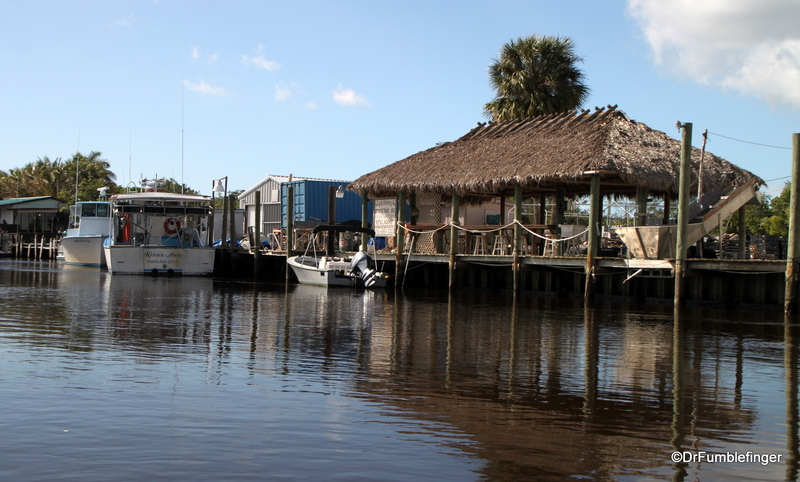 In the 1970’s and 1980’s, Everglades City became well know for dealing in “square grouper” (bales of marijuana). 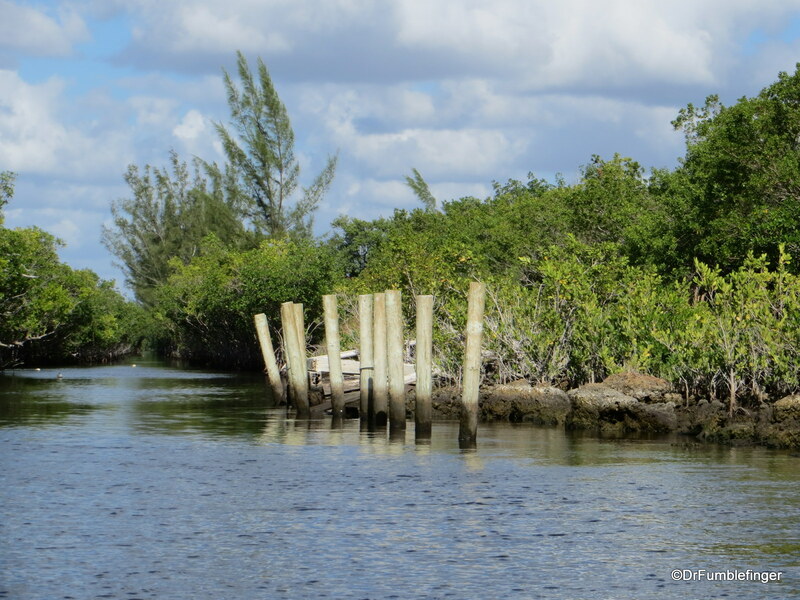 Boats and airplanes were dropping the stuff into the mangroves of the 10,000 Islands where it was picked up by locals and ended up being delivered all over the United States. 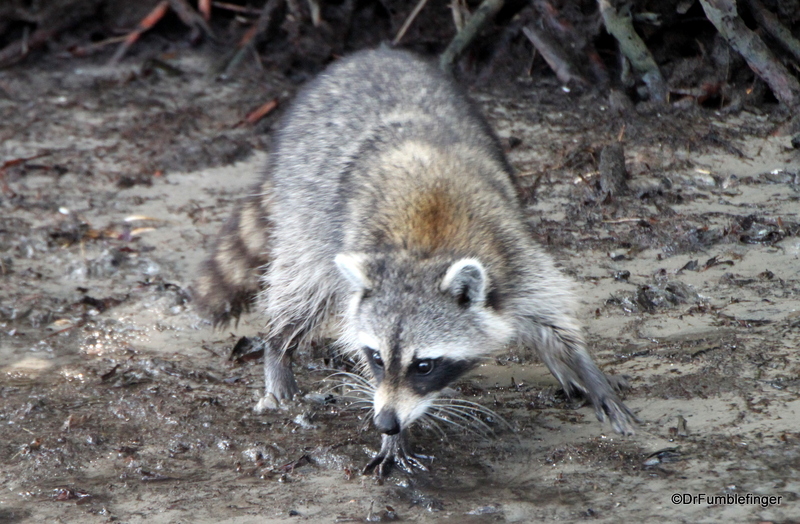 The “War On Drugs” mostly brought an end to this. 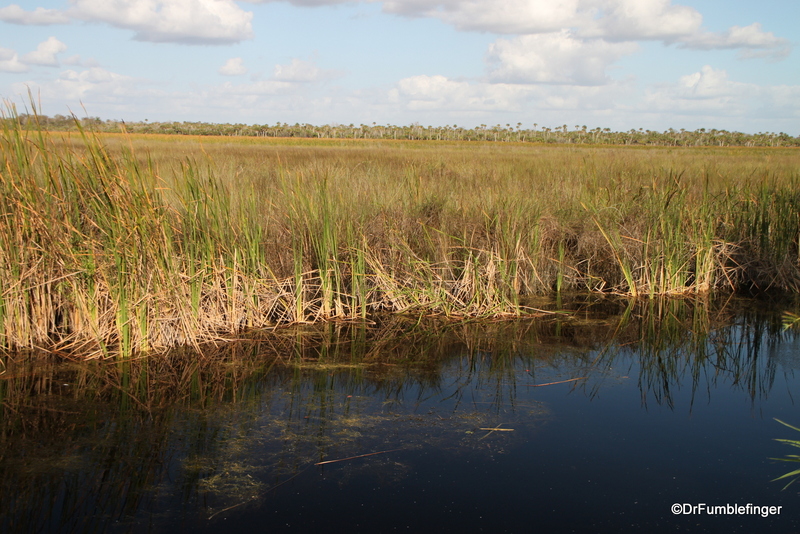 We enjoyed our day in Everglades City and were very lucky to have perfect weather, with virtually no bugs. 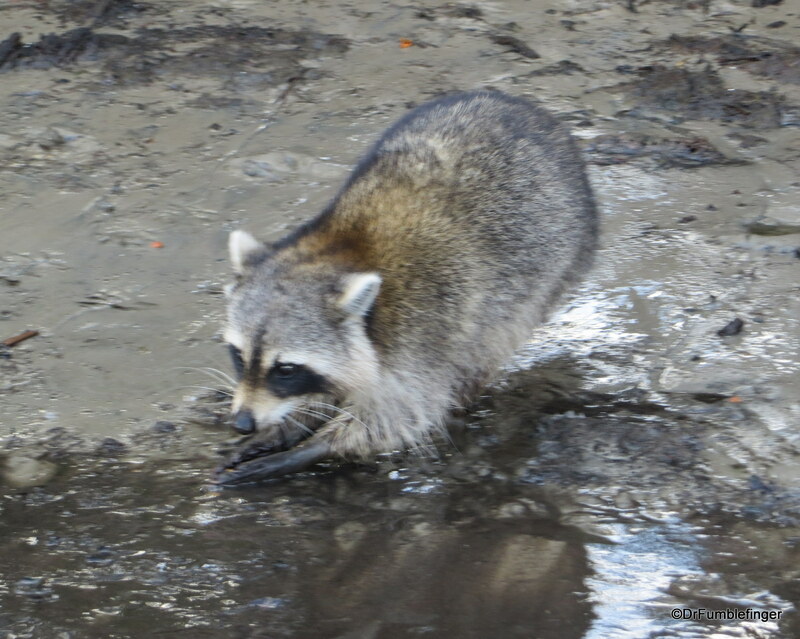 If you go in the summer be prepared for heat, humidity and lots of mosquitoes.